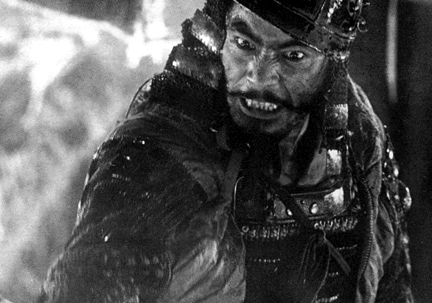 What can one say about Akira Kurosawa's Seven Samurai that hasn't been said before and better? So let's talk technical specs, then. For a film that has sometimes eclipsed even the likes of Citizen Kane as all-time best feature, it's difficult to believe any edition, past or future, could ever outdo Criterion's new Blu-ray as a proper showcase. With plenty of opportunities for flaws to appear, such as the many night scenes, scenes in the darkly lit huts, or the climactic battle scene set in the rain, I'm happy to say I found nothing to mar the wonderful black and white picture. Very slightly windowboxed to give us the film in its correct 1.33:1 aspect ratio, I didn't see one instance of digital artifacting (even in the visually chaotic rain scene I just mentioned). Blacks only rarely get a bit murky, but this is understandable given the unavailability of the original negative. And the transfer preserves the original grain without reflecting any edge enhancement which would exaggerate it. The sound is available in Dolby Surround which sounded a little shrill to me at times. I much prefer the 24-bit original monaural soundtrack (also included) which has been cleaned up quite a bit. All supplemental features are a direct port-over from Criterion's 2006 3-disc DVD iteration of the film. To sum up, this may be the closest you will ever come to experiencing Seven Samurai as only theatergoers did upon its initial release. 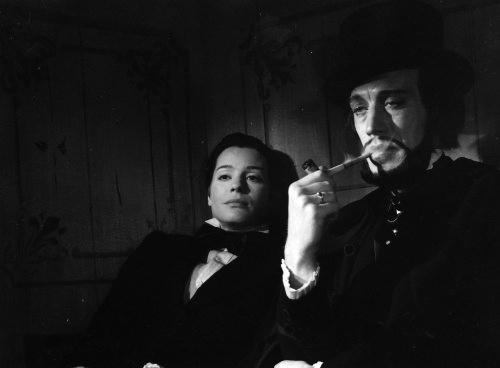 Ingmar Bergman's The Magician has little in common with Kurosawa's movie. Neither as significant in world cinema nor in its director's oeuvre as some of his better known films, it is still an intriguing piece. Coming a few films after, but still on the heels of the previous year's The Seventh Seal (1957), it does have some thematic ties to that film and Bergman's overall body of work. The traveling theatrical troupe at the center of the film, Vogler's Magnetic Health Theater, could almost be the same troupe in Seal. I say almost because from the outset, Vogler's troupe seems a little darker, harder-edged, conniving, and colder than the earlier film's troupe. 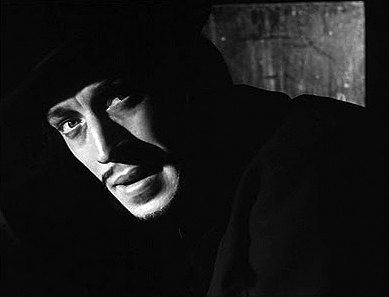 If that earthier group of performers were students of the same harsh metaphysical lessons as Seal's hero, Antonius Block (Max von Sydow), then these slick performers are teachers, imparting the dangerous power of the supernatural to the laughing, godless elitists who skeptically interrogate them before allowing them to perform for their amusements. The enigmatic figurehead of the troupe is Dr. Albert Vogler, played by Von Sydow in long jet-black wig and makeup that appropriately evokes both the messianic Jesus he would later play in The Greatest Story Ever Told (1965) and the sinister Ming the Merciless in Flash Gordon (1980). Vogler is mute, unable or unwilling to respond to his interrogators who wager over whether magic and the metaphysical are real or simply the creations of an immature mankind. As layers get peeled back, Bergman divulges the identity of the scammers behind the public veneer of the Magnetic Health Theater. But even the revelation that Vogler's abilities are only sleight of hand is debatable given a cryptic conversation he has midway through the film with a character who died earlier. Bergman bolsters this minor film's importance by adding another level to the subtext, one in which Vogler could be seen as analogous to the director himself. On that plane, the director appears to be responding to those who seek to peer behind the curtain, as it were, to get a glimpse at the artistic process only to denigrate it when they see how seemingly simple it is. In the case of both films, Criterion deserves kudos for championing not only the well known classic movies of world cinema, but also the smaller underappreciated films worthy of re-discovery. The Magician is currently available on DVD and Blu-ray. Seven Samurai comes out this Tuesday, October 19th, on 2-Disc Special Edition Blu-ray. So glad to hear about SEVEN SAMURAI - it constantly trades places with THE ADVENTURES OF ROBIN HOOD as my second favorite film of all time. Wish I could see it now, but this was one I had to hold off on so my wife had something she could get for me as a Christmas gift! I did, however, pick up the Blu-ray of THE MAGICIAN, and it's an astounding transfer. The opening carriage ride through the forest, with the streaks of light filtering through was as stunning a picture as anything I've seen used as a Blu-ray "demo" disc. Come Christmas time, you won't be disappointed! As for THE MAGICIAN, it's an odd one. I love the film, but there is something disquieting about it. I'm glad Criterion released it under their flagship banner because I can easily see it growing on people, as it is starting to on me. I have THE MAGICIAN blu-ray and it's fantastic. This has always been an undervalued Bergman film, though I've adored it's expressionistic stylistics for years at fetivals all around Manhattan and later on tape and LD. The Criterion announcement was made late yesterday (as I am sure you are probably aware) and it's rather a wash. I am no fan of BROADCAST NEWS, and the other releases are blu-ray upgrades of existing products. The Basil Dearden Eclipse set though is one I'll be getting, as VICTIM and A LEAGUE OF GENTLEMEN are fine films. I'm surprised it took The Magician so long to arrive on American DVD - I always thought of it as being one of Bergman's more famous films. That said, it doesn't do quite as much for me as the films which sandwich it (Seventh Seal/Wild Strawberries and Virgin Spring). I'd love to see Brink of LIfe from the same era, another von Sydow but one which I couldn't even find at a rarities rental store.